I’d just congratulated myself for reaching the top of a steep hill that I’d been planning for what seemed like ages when I was attacked by hyenas who looked like they were laying in wait for me. Just when I thought it was the end, I woke up in a cave that they’d obviously dragged me to and managed to fight my way out, despite losing a lot of health. Thankfully, I’d remembered from a previous adventure that bandages are an essential friend when travelling anywhere in Outward. Why am I venturing out into the wild in the first place? Well, debts need to be paid, it seems. Not even my own, but in the town I call home, everyone is handed down the responsibility and the punishment of their ancestors, through generations of family. It doesn’t seen very fair and you’re not the only one to think so, but you’re also not in a position to argue, so the only way to pay them off is to complete tasks, find items to sell and impress the right people. The one thing to remember in Deep Silver and Nine Dots’ new survival RPG is that outside of the gates of your village everything is out to get you. I don’t just mean the wildlife or the bandits, but everything. Dirty water, the cold, flu, it’s all there to try and make your life hell. So, yes, bandages are your friends, as are broth and plenty of salted food for the journeys that you’ll need to make to get anywhere in these harsh lands. This need for planning and the very real effects of being out in the wild are what set this game apart from other RPGs. There are still quests to be taken, dungeons to plunder and a storyline to play out but your main sense of story comes from the journeys that you’ll need to set out on, each one a potential danger. As if to hammer home how much you need to rely on your wits, the developers haven’t even given you a map with your location on, you just need to follow signs and mark out waypoints to find your way around. Darkness in Outward is impressively dark. It’s not pitch black but without a good lantern it might as well be. It’s probably best not to find yourself out and about in the dark, as I did. Thankfully I made it back to my homestead alive, but only just. This adds another layer of atmosphere, a realism that you don’t find in other games, alongside the great soundtrack and interesting landscapes. Part of the problem is that you’re a nobody, a standard guy or girl with no special abilities or heroic nonsense to go on. Your basic needs of food, water and rest need to be kept satisfied if you want to get further than the next wheat field from the fortified town you call home. You can’t even fight well. The fighting mechanic is unwieldy at best and I still haven’t figured out whether this is done on purpose, but it’s an annoyance when a gang of enemies gangs up on you, whether it be the wildlife, bandits or Troglodytes that you find when dungeon crawling. Even a trip along the beach could have you accidentally attracting the attention of a giant scorpion creature. The best plan? Leg it. Fast. On the plus side, it makes every trip memorable and planning is essential, plus it sets Outward apart from most other RPGs for better or worse. This is a one-off experience and fans of survival games will no doubt lap up the task in front of you. The other thing standing in your way is the game itself, in my time spent wondering around I’ve been stuck on scenery, had odd moments where the game froze or I found myself somewhere else and objects have disappeared. It doesn’t happen all the time, but when you’ve just battled your way through half a journey it can be annoying. 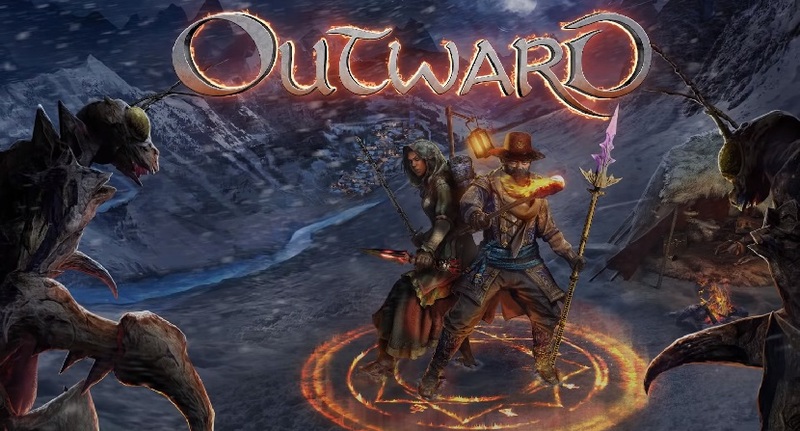 Despite the complaints, I’ve kept coming back to Outward because it’s different. It offers up something of a challenge which makes every journey an adventure in itself and it has charm in the stories it tells. This may well be more than enough for some.